For baby-boomers of leftist-liberal backgrounds, two places in the United States stand out most clearly in our cultural landscape: the balcony of the Lorraine Motel in Memphis and Dealey Plaza in Dallas (where were you on those days?). I visited the former almost twenty years ago. Today I visited the latter. Ground-Zero Conspiracy Theory America, I salute you. The site is smaller and more banal than I imagined it would be. It is also macabre. 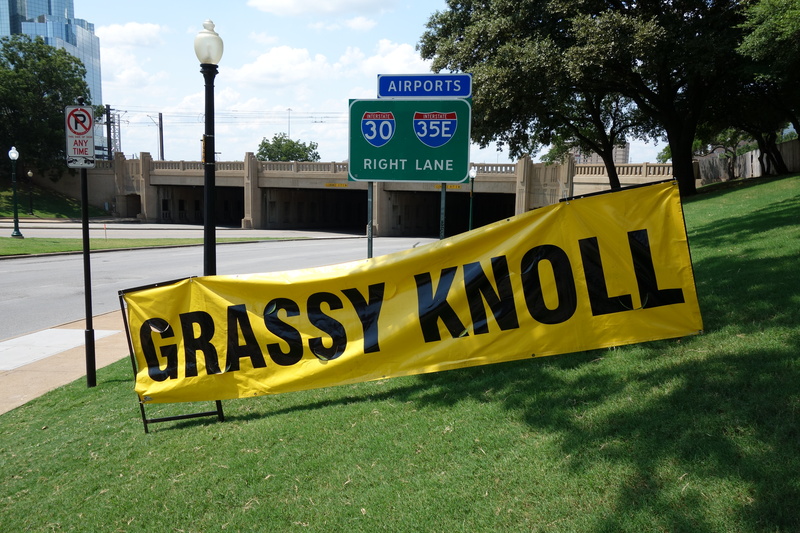 A painted “X” in the roadway, the grassy knoll (with a large sign on the grassy knoll that reads “GRASSY KNOLL”), and the plinth on which Abraham Zapruder stood while he filmed the motorcade were for the first time stitched together in my imagination to form one large, three-dimensional image. It’s not an iconic site, because prior to today I did not have a clearly formed idea of how the many photos of the assassination I’ve seen fit together. 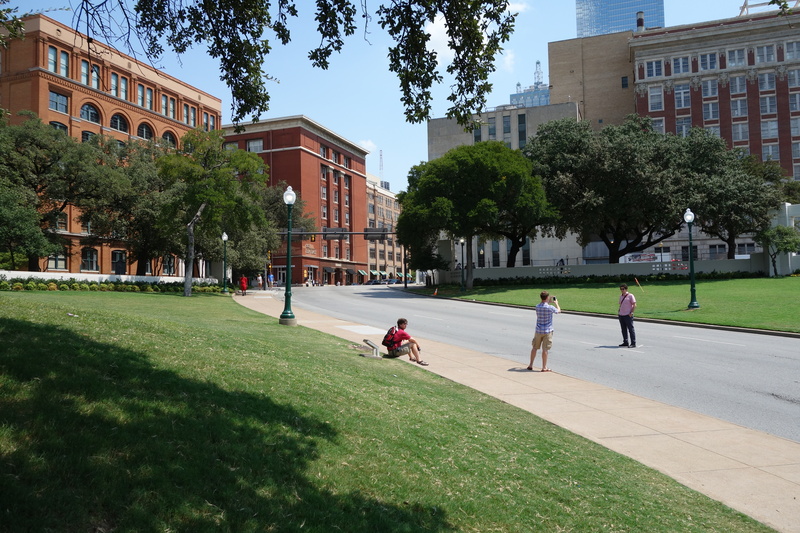 I watched people run into the street during lulls in traffic to have their pictures taken at the spot where the limo was when Kennedy was hit (in the photo, the book depository is to the left). On top of the knoll, a man sat in the shade at a table covered with stills from the Zapruder film and with gruesome color headshots of the dead president on a hospital table. 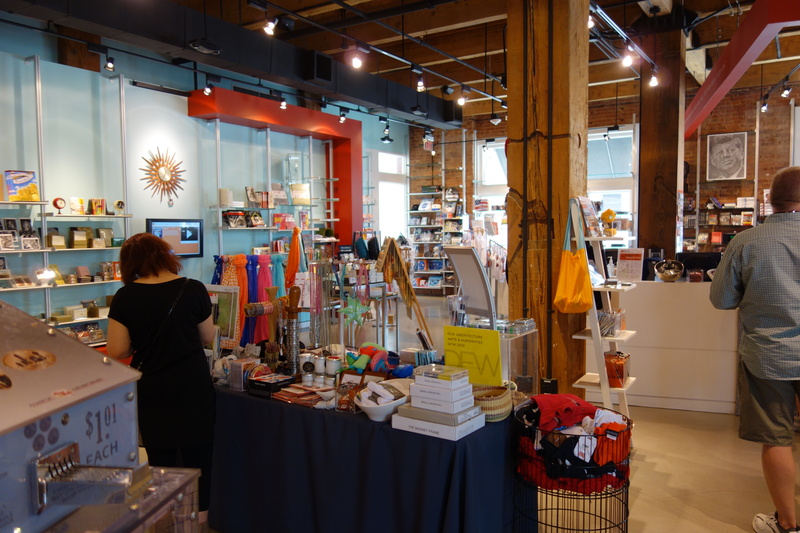 The Texas Book Depository now contains, among other businesses, the Sixth Floor Museum. I skipped it. 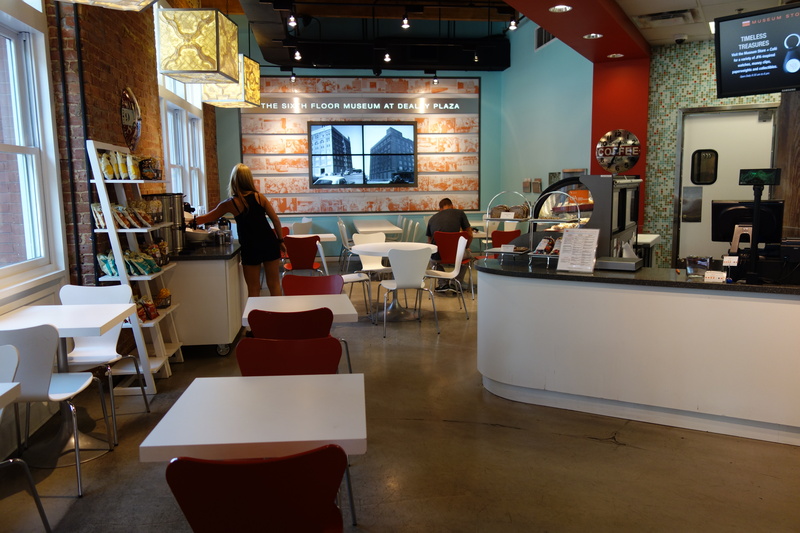 But I could not resist stepping inside the JFK Assassination Gift Shop and Café. The cashier called the parents and their kids who stepped up to pay for their souvenirs “sugar” as if it were her job to console them. No one here looked in need of consolation. Actually, the museum is fascinating. Gordon and I were there. It was such an extraordinary experience to be right at that spot. Any one my age remembers exactly where we= were when he or she got the news. I was in London, and I remember walking into Selfridges the next day and having people come up and say how sorry thy were. It was so unexpected and unEnglish, but very moving! I remember Gordon became very skeptical of the sole shooter theory after that visit you made. I have to say, I did too when I visually put it all together and looked closely at the Zapruder film stills. Who knows?